The Tampa Bay Lightning took a 3-1 victory over the Carolina Hurricanes on January 10th, picking up two points in their 23rd home game. 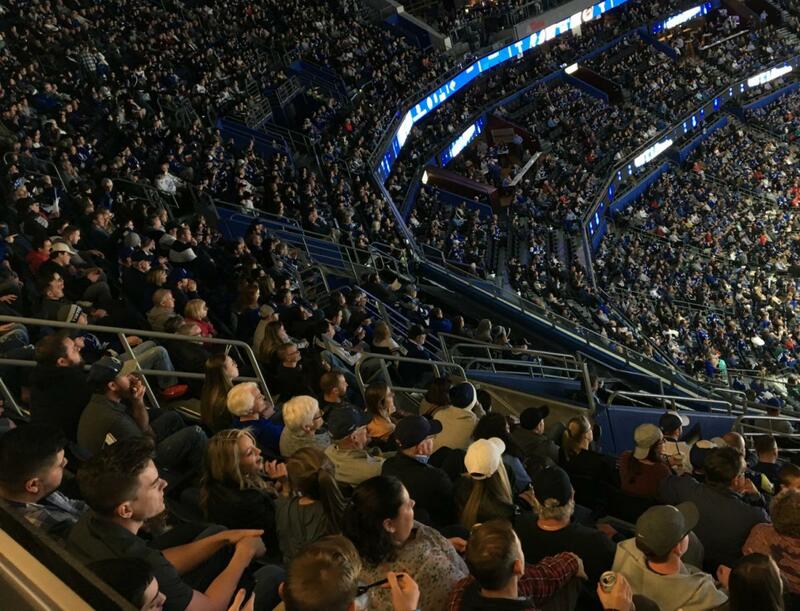 With just 18 games remaining at Amalie Arena before the playoffs, the chances Lightning fans have to see their team live are getting fewer and fewer. The world is a fast-moving landscape and people have busy lives, so you probably can’t make every game. It might be helpful to have a carefully curated list of about five games in order to maximize your fan experience. If only such a list existed…. Fine, I’ll share my list with you. I’ve spent too much time filibustering this introduction anyways. Rather than rank the five games like some loser, I’ll put my list in chronological order. This should be a no-brainer. Tampa Bay and Toronto will come into this matchup as the top-two teams in the East, potentially the league. The last time they met brought a massive hype-machine and a mildly entertaining game. As far as atmosphere goes, there won’t be a better game at Amalie until the playoffs start. The teams do not face each other again until March 11th and April 4th, both in Toronto. Therefore this game will be the last time the Leafs come to town until the second round of the playoffs*. You won’t want to miss out, provided there are still tickets to be found. As of the writing of this post (January 10th), the Golden Knights are the hottest team in the Western Conference, erasing a poor start in the year with an 18-5-3 run since November 21st. They have win streaks of five and seven in that stretch and only have one set of back-to-back losses, which both came in overtime. Needless to say, this team is good. Vegas took the first two matchups between these two teams last year, a 4-3 nail-biter in Las Vegas and a 4-1 stomping in Tampa. The Bolts took the game in Vegas this year, all the way back in October, holding on for a 3-2 win. With the Golden Knights presumably healthy this time around, these top-five teams should put on a great show for the Amalie faithful. The Lightning and Sabres played to another thriller in Buffalo, with the Bolts riding a third period comeback to a 5-3 victory. There has been a modicum of bad blood between the sides this season, both on the ice and on Twitter. With Buffalo most likely in the thick of the wild card race and Tampa Bay holding off Toronto for the top spot in the division, both teams will be keen to win two points anyways. The burgeoning division rivalry and sting of the previous meetings will be extra motivation. What this game will lack in speed and talent will more than be made up in intensity. Not to get ahead of ourselves, but there is a decent chance that this could be the Stanley Cup Final, a matchup that the neutral fan will salivate over. However if these teams do not meet at the end of May, this is the only time the Jets come to town. This game is a once-a-year opportunity to see one of the deepest teams in the league, who boast players like Blake Wheeler, Patrik Laine, Mark Scheifele and Dustin Byfuglien. If you need more convincing, just go watch the highlights from their earlier meeting in Winnipeg, where the teams played perhaps the game of the season. The chance that they put on an encore performance is too good to pass up. March 16th will mark the first time the Capitals play in Tampa since they won Game 7 in the Eastern Conference Final last season. While this might not be wearing on the minds of Lightning players when they hit the ice, it most certainly will be on everyone’s minds in the stands. The game should still be highly contested; Washington will likely be entrenched in a battle for the top spot in the Metropolitan division, while the Lightning may be clinching the number one seed in the Eastern Conference (at the rate they have been playing, this is hardly an exaggeration). Regardless, the fans in the building will be looking for any sort of retribution, which will make for a lively atmosphere. Looking for more Tampa Bay Lightning coverage? Check out The Five Most Memorable Tampa Bay Lightning Storylines From 2018. Are you a Tampa Bay Lightning fanatic? We'd love to hear more about your fan experience. Register if you haven't already and leave your comments below! We'd love to talk more puck with you! Be sure to also check out our Sports Page for more coverage of Tampa Bay sports, including watch parties and fan gatherings, all here on 813area!